Dana is a Colorado native and was born and raised in Woodland Park. She grew up dancing with Kathryn Utke  and Cathy Myrick who instilled a love of dance in her from a very young age. Dana has danced professionally for PPCC, Our Community Dance Company, and Sansara Dance Company. Her passion is to share who she is through her love of dance and it has been a vehicle for her to find her true heart and self. Dana loves being a part of Woodland Park and Teller County. For her, it’s important to invest in her community, which she does through nurturing and inspiring the hearts and lives of the students who walk through her doors. Dana has been teaching for over 15 years and began teaching in her home after a friend asked her consider teaching her daughter. After five years of having 100+ students traipsing through her house, with the help of her friends and family, Dana acquired her studio in the heart of Woodland Park, Colorado. Dana is passionate about being a dance teacher and studio owner and loves the opportunity to share the skills and the joy of dance with her community. She encourages her dancers to find out who they are in a safe, loving, environment and discover the beauty and value they possess. Dana has used dance inspire her, taught her to love life and the adventures it throws her way. Houston has been working with kids for over 7 years through teaching piano lessons, dance, and various church programs. He has a huge heart to inspire those around him to be themselves, and to passionately pursue the things they love. He has gone through the AMTC program, which cross-trained him in dancing, singing, modeling, and acting. Afterwards he went to Ocean’s Edge School, which taught him skills from songwriting, leadership skills, stage presence, and music business. This is his second year of teaching at Dana’s Dance and he loves the opportunity to share his love of dance with the community. Candice Owen originates in Southern California and has been dancing since the age of 8. She has worked and trained with many top instructors and choreographers in the dance industry. She is an alumnus of the Edge Performing Arts Center Scholarship Program in Hollywood, California. A student of all forms of dance, Candice has worked for several companies such as Odyssey Dance Theatre, Vent Hip Hop Crew, United Spirit Association, Aerial Experience Productions, Antelope Valley Ballet, La Danserie Contemporary Ballet Company, and Media City Ballet. She is an encourager at heart and loves to push her students to be the best they can be. She loves teaching and is so glad to be spending time with students at Dana’s Dance. April is a tap dancer and choreographer who leaped into her passion for dance more than 30 years ago. She grew up dancing; competing as a soloist and in groups for regional, state, and national championships. She was named Senior Miss Dance of Oklahoma in 1999. April has studied many styles of dance including ballet, jazz, tap, hip hop, modern, lyrical, Irish step, Swing, and Latin. April’s feet never stop moving and she is thrilled to instill the love of dance that she so enjoys! Being a mother of four, Gina understands that life can be crazy busy. That being said she understands that we want the best for our children and it's okay to even want the best for ourselves. Gina believes in striving for excellence and following your dreams, which is something that she encourages in her students. Gina's high school dream was to play college soccer and once that dream was met, she dreamed of dancing in a professional dance company and sharing her joy for dance with those around her. Gina is living her dream and she encourages you to allow yourself and your children to live their dreams. Stacy Smith began her dance training with Terry O'Brien in Long Island, New York, continuing with the Eglevsky Ballet where she began her professional career as an apprentice with the company. From there, she went on to study at the School of American Ballet and the American Ballet Theatre School, simultaneously performing with the Puerto Rican Dance Theatre in NYC. After a year with Baltimore Ballet, she performed both classical and contemporary repertoire with Ballet Nuevo Mundo de Caracas and Ballet Internacional de Caracas in Venezuela. This is also where Stacy discovered her love for teaching. With Ballet Florida, she performed principal and soloist roles by a variety of choreographers including Vicente Nebrada, Lambros Lambrou, and William Soleau. She continued teaching all levels at the School of Ballet Florida and directed the extensive community outreach program, winning the Young Audience Artist of the Year award two years in a row. The David Taylor Dance Theatre brought her to Colorado, dancing principal roles for over four years before "retiring" to the Cripple Creek/Victor area. Her love for dance and teaching inspired the creation of Cresson Dance, a nonprofit educational and performing dance organization dedicated to serving the Pike's Peak region. As director of Cresson Dance, Stacy taught all levels of ballet, pointe, pas de deux, and beginning levels of jazz, contemporary, ballroom, and hip hop and learned a variety of skills associated with running a nonprofit. During this time, she was also a choreographer for the Thin Air Theatre Company. 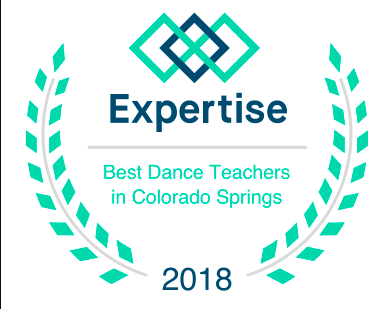 Since 2011, Stacy has been teaching classes, creating, setting and rehearsing choreography for Ballet Society of Colorado Springs, also teaching classes at Dana’s Dance in Woodland Park and the Colorado Springs Conservatory. As a certified yoga instructor,  Stacy teaches yoga classes and private instruction throughout the Pikes Peak region. On a more personal note, her passions include her family, three cats, yoga practice, her garden and mountain home. Brent Richardson graduated from University of Colorado Colorado Springs in 2010 with a bachelor’s degree in Service Management and a minor in Human Resources Management. He in learning the business side of Dana’s Dance and having a wonderful time doing it. He is also honored to do the building maintenance for the studio and the many challenges that accompany that endeavor in an old building. Brent has two boys that bring endless joy and gratefulness to his heart, he often watches them when mommy is away at the studio teaching. He loves to teach them to play with balls and train them to love and care for others.